Today Deputy Defence Minister Anatoly Antonov has met Japan’s extraordinary and plenipotentiary ambassador to Russia Toyohisa Kozuki. In the course of the talks, an exchange of views on the situation on the Korean peninsula and in the Asian-Pacific Region. Anatoly Antonov stressed the importance of political and diplomatic solution of the situation on the Korean peninsula for prevention of escalation of tension in the North-East Asia and paid attention to the negative influence of deployment of the US Ballistic Missile Defence elements on the situation in the Asian-Pacific Region. The parties also discussed the level of military connections between both countries. 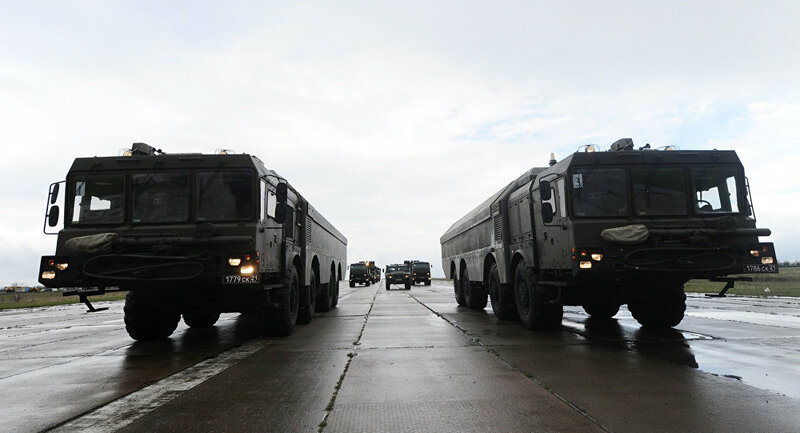 They noted joint exercises, consultations of the General Staffs, interactions of the Navy forces. The future directions of interaction in multidimensional formats were defined. Deputy Defence Minister told about the humanitarian operation in Aleppo and suggested to the colleagues from the Japanese defence department joining it. Anatoly Antonov informed the Japanese ambassador concerning the unannounced combat readiness inspection held upon the decision of the President of the Russian Federation Vladimir Putin. He stressed that the exercises are held in strict compliance with all the international obligations of Russia. As Japan prepares to officially announce its record-high $51.7 billion military budget proposal, it seeks to double the payload of its 200 F-15 jet fighters in an attempt to cool down Chinese military presence near southern Japanese islands. 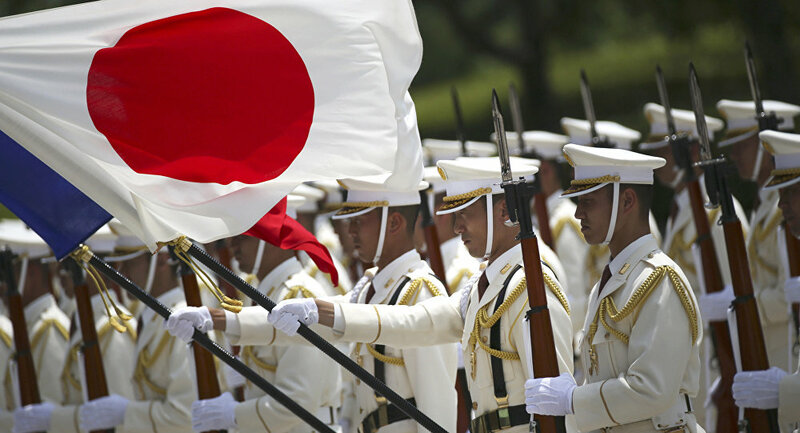 Japanese military budget for fiscal year 2017, which will end in March 2018, includes a number of costly measures aimed to significantly bolster Japanese military amid rising tensions in South China Sea in particular and in the region in general. 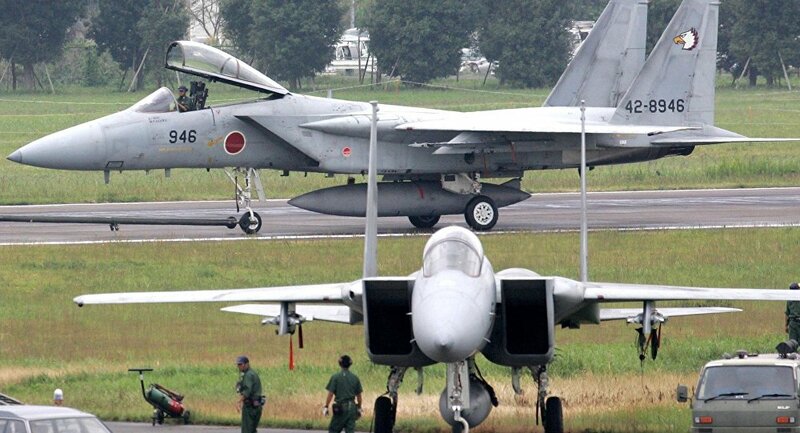 Among other things, Japan seeks to boost weapon capacity of their 200 US-made F-15 jet fighters, by doubling the amount of air-to-air missiles they carry, from 8 to 16 per plane. The Japanese Air Self Defense Force (ASDF) is also going to extend the planes’ lifespan by starting a massive repair program for damaged planes. The proposed military program, which will be officially introduced later this month, reportedly includes the purchase of an undisclosed number of controversial Lockheed Martin F-35 jet fighters and development of unmanned drone fighter jet, which is set to be put in operation by year 2037. The massive increase in military appropriations out of Tokyo may be warranted in response to Beijing’s growing animosity towards its longstanding regional rival including recent air contact between Chinese and Japanese warplanes over the East China Sea. The two countries are embroiled in a territorial dispute regarding the Senkaku (known by China as Diaoyu) Islands with both China and Japan holding overlapping claims. The West recognizes Japan’s control of the Senkaku Islands, a reality that may be increasingly unfavorable to China in light of the international pressure mounted on Beijing over the separate territorial dispute in the South China Sea. Japan has inflamed historical tensions by beckoning China to give up its claim to the South China Sea, which includes islands and a valuable swath of water through which 40% of the world’s shipborne trade transits each day, despite the fact that Tokyo itself is not a party to that dispute. China has repeatedly warned of war against Japan if it should undertake joint naval operations with the US in the contested area. Japan’s recent white paper on defense policy was slammed in Beijing, but actually Tokyo does not appear to see China, or Russia, as a direct threat to its security, Kristina Voda from Russia’s Primakov National Research Institute of World Economy and International Relations told Sputnik. On August 2 Japan’s Defense Ministry released its annual Defense White Paper, in which it revealed concerns about its neighbors North Korea, China and even Russia.The 484-page report refers to North Korea’s missile program as the key challenge to Japan’s security. “Even assuming that North Korea exaggerates claiming to achieve range ability for ballistic missiles and to obtain small nuclear charge for a warhead capable of hitting the United States, it is still possible that military provocations in the region will increase, so our country is concerned over the situation,” the white paper said. The following day, South Korea reported that Pyongyang had fired two medium-range ballistic missiles, one of which was fired into the Sea of Japan. Japan’s defense paper received a fierce reaction in Beijing, after it also criticized China’s activities in the South China Sea and alleged that Beijing is unwilling to compromise with other countries in the region. Last month China rejected the verdict of The Hague’s Permanent Court of Arbitration, which ruled against China and in favor of the Philippines in the South China Sea dispute. Rather than international arbitration, Beijing has called for the dispute to be resolved through bilateral negotiations between the parties involved. The South China Sea is a highly-contested region through which nearly $5 trillion in international trade passes annually. In addition to China and the Philippines, overlapping claims have also been made by Vietnam, Malaysia, Taiwan, and Brunei. In the East China Sea, Japan and China are locked in a territorial dispute over the uninhabited Senkaku Islands, which are controlled by Japan but are claimed by China; in Chinese they are called Diaoyu Dao. Kristina Voda, an expert from Russia’s Primakov National Research Institute of World Economy and International Relations (IMEMO), told Sputnik that while the paper is critical of China, it calls for dialogue with Beijing in order to solve pressing international issues. “If the white paper calls North Korea a serious, destabilizing factor for security, not only for Japan but for the whole region and the international community, China is not directly called a threat,” Voda explained. “It just says that China’s actions are a cause for concern,” and specifically addresses the disputes in the East and South China Seas, she said. “The white paper is not a unilateral reference to threats from China, but an attempt to encourage China to engage in dialogue. Let’s remember that Shinzo Abe thinks it is necessary to create a ‘hot line’ to prevent dangerous activities in the sea,” Voda said. The Chinese navy is currently carrying out large-scale military exercises in the East China Sea, and in September China and Russia will begin joint military exercises in the South China Sea. 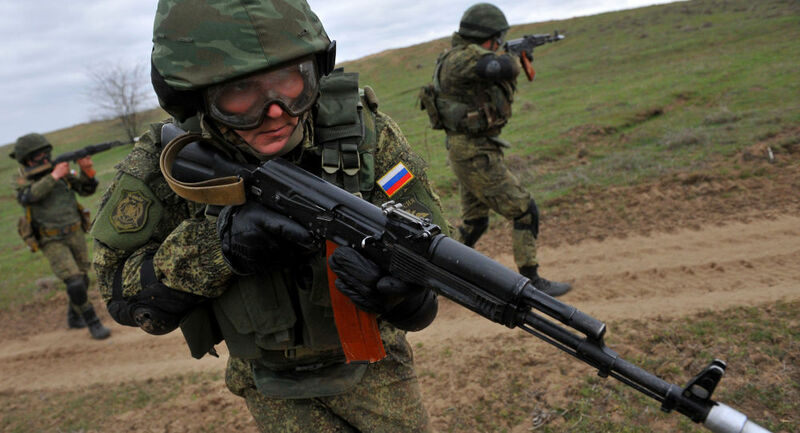 Voda said that the white paper does not perceive Russia as a threat, but makes several remarks about its recent military activities, including Syria and recent exercises in the Kuril Islands, to the north of Japan. Japan makes territorial claims to three of the southern Kuril Islands.The white paper remarks that in a multipolar world, Russia is “gradually increasing” its role in global politics, and that its assistance in Syrian anti-terrorism operations is evidence of progress in Moscow’s military reforms.